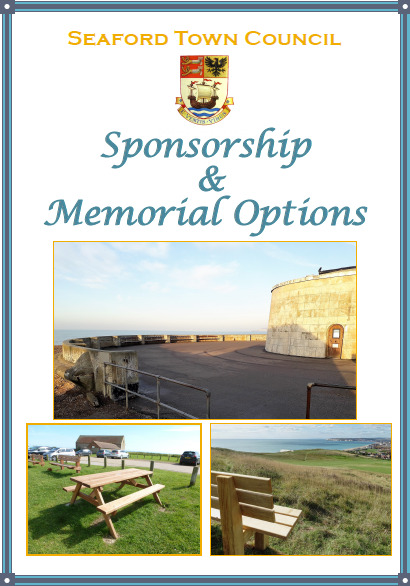 The Town Council has a Donations & Memorial Brochure that sets out the options for memorials or donations towards equipment/facilities in Town Council-owned parks or open spaces within the town. If you would like to make a memorial donation, please do so by completing the Application Form and returning it with your payment to the Facilities Department, Seaford Town Council, 37 Church Street, Seaford, BN25 1HG. If you require any further information, please email facilities@seafordtowncouncil.gov.uk and a member of the team will be pleased to help. 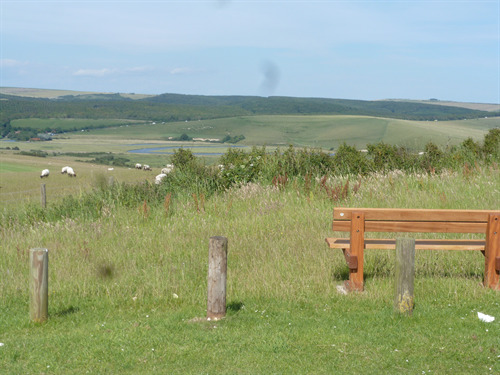 Memorial bench at South Hill Barn overlooking Cuckmere Valley and River.